Earlier this month, we took the opportunity to attend Gluten-Free Living’s First Annual Conference in Orlando, FL. This three-day event allowed us to attend workshops and seminars, as well as meet the most AMAZING people in the gluten free community! As day-long attendees of Blogger University, we learned from the best! Presenters shared their expertise on domains, news updating, photo editing, and social media (to mention a few). Here we are, complete novices… ready to take the plunge! 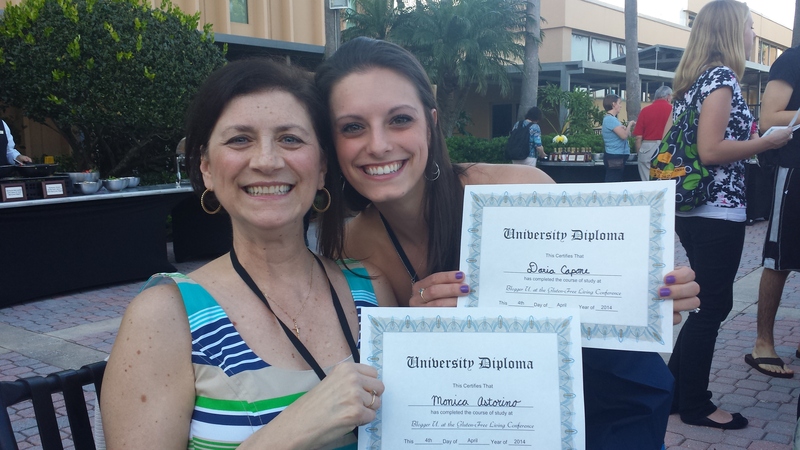 Two happy girls with our Blogger U. diplomas! Yippee! !